This pack contains Skintifique’s 4 star products, that work together to protect, moisturize, help repair and cleanse sensitive, allergic or damaged skin. A very pure moisturizing lotion which hydrates and protects the skin from frequent aggressions that can irritate the skin: pollution, metals (Nickel…). 4 products to protect, moisturize, soothe and cleanse sensitive, allergic or damaged skin. 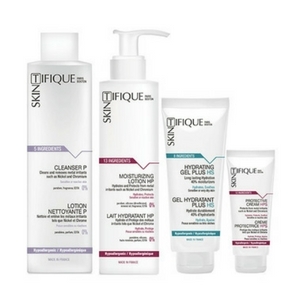 This pack contains Skintifique’s 4 star products, that work together to protect, moisturize, help repair and cleanse sensitive, allergic or damaged skin. 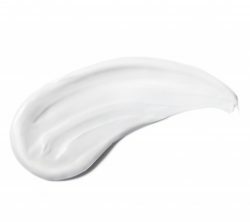 More than 78% of natural ingredients: Hydrating Gel Plus HS (98.9%), Cleanser P (91.2%), Protective Cream HPS (79.3%), Moisturizing Lotion HP (78.8%).